Finding a reliable service repair technician to repair a cooling problem in your home in Kitchener-Waterloo is now a snap, with KW Air Conditioners. KW Air Conditioners will help you to find a local air conditioning contractor in the Kitchener-Waterloo area. We only promote the most experienced, and highly reliable air conditioning contractors in the area. Let us help you lower your air conditioning bill. Leaks or other issues with your air conditioner may not be known by you. You may not even know that you are paying more then you need to on your hydro bill! Most homeowners have no idea how much they should be paying for their air conditioning systems, or if they are paying too much. At Kitchener-Waterloo Air Conditioners, we want to assist as many homeowners as we can. Let us help you save some money on your hydro bills. As a homeowner, any money that you save on your hydro bill will be residual. This means that you will not only start to see a reduction right away, but continued maintenance will ensure that you are always paying less on your hydro bills. Great way to save a few bucks, and throw them back into your house fund. A few dollars saved here and there, mean that you can afford other things you need around the home. Right? If you would like to promote your air conditioning business on KW Air Conditioners, please let us know by filling out the contact us page. Only contractors who are of the highest quality and integrity will be able to promote their businesses on this website. In the summer time, you need a way to stay cool. An air conditioning system installed into your home in the Kitchener-Waterloo area will not only help to keep cool, but also air that is easy to breathe. In the hot humid summer months, it can actually become hard to breathe. This is especially true for people with asthma. Kitchener-Waterloo Air Conditioner's central air conditioning (AC) or split AC systems will provide dependable performance & energy efficiency, which also helps the home owner to save money. Any money saved is then funds that can be used in other projects around your home. 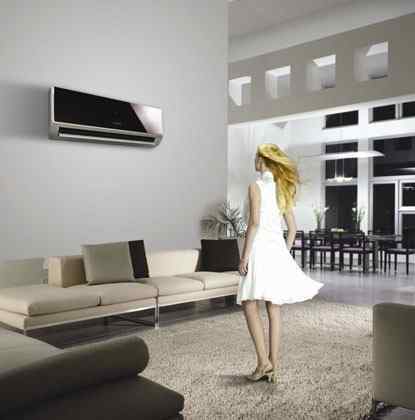 Let us suggest the right air conditioning system for you. Just use our request a quote page.